Today my guest is Lloyd Burrell, an educator, coach and mentor regarding EMF. As you'll find out, he didn't choose to be passionate about EMF by choice but is a wounded warrior by the electromagnetic radiation and microwave fields that come off a cell phone. As mentioned on the show, you can find the Vimeo videos about EMF from the Electromagnetichealth.org channel. Why Did I Create My Website? I guess I got sick and tired of all the BS that the cell phone industry and the so-called “mainstream media” are putting out about EMFs and the cell phone radiation issue. “It’s all harmless. It won’t hurt you,” they tell us. Yet, if you use a cell phone for a few minutes, you feel your ear warming on the side of the phone, right? Should you be worried about that? It’s not so much being worried about it that’s important it’s being aware of the dangers. Because there are dangers. Why Is It Important To Get Wise On This Issue? Cell phone radiation and electromagnetic fields (EMF’s) are the most important under-reported story of our generation. Autism and obesity is exploding, child diabetes is on an unexplainable rise, children are being medicated as never before. Does this need to be? Is this normal? No it’s not. EMFs and cell phones have got a lot to answer for, and I am not the only one saying this. Does This Mean I Am Against EMFs And Cell Phones? Absolutely not. I live in the real world. Personally, I do not use a cell phone anymore but I know there are many people whose livelihoods depend on them, and I know that in some cases they can be lifesavers. But there’s way too much ignorance on the dangers. These dangers are very real; there’s a growing body of research which says they are real. The key is to be aware of the dangers and learn to use this technology more safely. I’ve written down my story, I use my real name and there are videos so you can see who I really am. 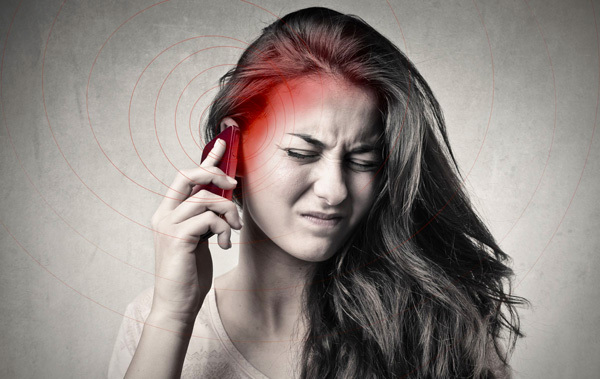 I am just a regular person who has experienced genuine health issues through exposure to EMFs. If you’re just concerned about EMFs and are looking for unbiased information and a way to protect yourself you’ve come to the right place. If you’re already suffering some symptoms of electrical sensitivity it is more complex. But there are ways in which you can overcome your sensitivity and live normally again. If you want to read my story (I am always updating it with the newest experiences and knowledge I get about this topic), then subscribe to my newsletter by putting your e-mail address in the box on the homepage. I’ll send you my story and updates on the issue. Anyway, get my story. Read it…I want to get this information out to the public where it belongs, so people can make up their own minds and protect themselves. One last thing, some more honesty…. How Can I Provide this Service For Free? Electricsense.com is not my job, it’s my passion. Most things on the site I do myself but some things are above my head technically, so there are running costs. On some of my articles, there are links to other websites where you can buy certain products (e.g. shielding materials, EMF meters etc). When you buy something on these websites I get paid a small commission. This is how I finance the running of the site. What you read on this website is my own opinion, speaking as someone who has gone through the trials and tribulations of electrical sensitivity. All of my recommendations are based solely on my own evaluation. Hey, it's Evan. If you don't make it to the bottom of this post, watch my new video. As you know, my background is in functional medicine and nutritional therapy. That hasn't stopped me from investigating the research, and doing many experiments myself around the topic of EMF, or electromagnetic radiation. We're talking about your cell phone, your WiFi router, cell phone towers, and your microwave to name a few sources. The French government has completely banned WiFi from schools in an effort to protect children from potential damage. The younger you are, the more susceptible you are to illness from EMF, due to a softer and more permeable skull. Today, Apple announced the iPhone 7, a new Apple Watch and a new set of wireless earbuds called "Airpods". Tim Cook, the CEO said, "The Apple Watch is the best device for a healthy life". More technology is what we are missing? Not more sunshine, fresh air, organic food, time with our loved ones, laughter and dancing? Not less air pollution, less chemicals in the food, air, water and soil? Not less WiFi hotspots and less cell phone towers that broadcast signal across 95%+ of the USA? 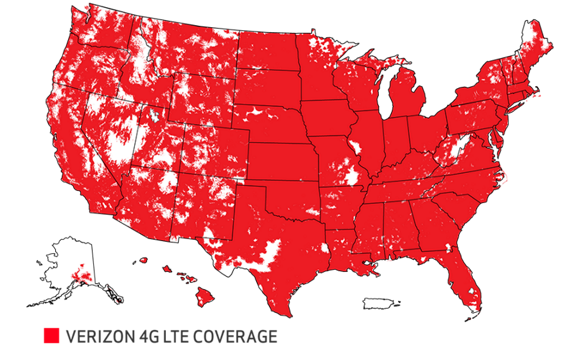 Have you seen the coverage map that cell phone carriers use as promotion? What will we say 30 years from now? Are we going to look back one day and find out that the people that lived in or near the areas in white, are the few that don't end up with side effects of this giant, global experiment in wireless technology and transmission? My goal is not to instill fear. My goal is to increase your awareness about an issue that is talked about rarely. I have done several podcasts with EMF experts around the issue of cell phones, smart meters, and dirty electricity. When I lived in Austin, TX, there were over 400 towers emitting wireless signal within a few mile radius of my home. I had extremely restless sleep and frequent headaches. When I moved back to Kentucky where there were less than 100 towers (which is still too many), my symptoms disappeared. I have more questions than answers about all of this. I do have a feeling research will conclude that wireless technology is "the new smoking". I'm not going to wait 50 years for the mainstream media to announce it. 1. Turn off your WiFi router at night before you sleep. Or go hardwired. 2. Put your phone on airplane mode if you must carry it on you. 3. Use speaker phone or an air-tube headset when making phone calls. 4. Prioritize text messaging over phone calls if possible. 5. Spend more time grounding yourself at the beach, in the soil, garden, etc. 6. Stay hydrated and use electrolytes. 7. Use antennasearch.com and enter your address to see how many towers are near you. 8. Don't let your kids use cell phones unless absolutely necessary. 9. Get rid of metal box springs under your mattress, which may act as an antenna for wireless signals. 10. Deny and refuse smart meter installation on your home. >>> Here's my short, 3 minute explanation of the research and why I'm not buying or supporting more wireless technology... for now. That was how I spent the first 35 years of my life. Words like organic and natural were not in my vocabulary, certainly not relating to health. Nutrition was scarcely mentioned, vitamins were quackery, and drugs and surgery were healing. I actually believed (as many docs do) that statin drugs should be in the water supply. But as you will read below, I transformed from a doctor who follows mindless, cookbook medicine to one who will be amongst the leaders of the health revolution in this country. I was born in Cleveland where my father was the first osteopathic resident at the Cleveland Clinic. My family moved to Chicago and lived there until age 31. I attended the University of Illinois for my undergraduate degree and then, following in my father’s footsteps, spent four years at the Chicago College of Osteopathic Medicine for my D.O. degree. A three year internal medicine residency then a three year cardiology fellowship followed at Lutheran General Hospital in Park Ridge, Illinois while serving as Chief Fellow in my final year. I am board certified in cardiology and was a Fellow of the American College of Cardiology (FACC) from 2002-2012. In 2002, I moved to Arizona and joined a large cardiology group. My first few years, I practiced like any other cardiologist, consulting with office patients and making hospital rounds. Procedures such as heart catheterization, implanting pacemakers, and interpreting echocardiograms and nuclear stress tests was my daily routine. I served as the Chairman of the Department of Medicine at Paradise Valley Hospital and also as the Director of Cardiac Rehabilitation. In four years, I achieved partner status with the large cardiology group and was a very successful conventional cardiologist. As time passed, I was growing frustrated that despite all the pharmaceuticals and procedures, many patients were feeling worse. Patients were discharged from the hospital only to return to the ER shortly because doctors are not healing anyone. The realization hit me that medical doctors were not preventing disease but only attempting to treat symptoms. In 2004, I met the most amazing woman who would soon become my wife. Heather is a chiropractor and has a heavy focus on nutrition and healthy, chemical free living. Since meeting her, I have changed my whole life and medical practice style. I have switched from the sickness paradigm to one of health and wellness. I read countless books, studied hundreds of articles, and attended as many conferences as possible. I met with natural doctors including chiropractors, homeopaths,naturopaths and different types of healers (at which most medical docs would scoff). I immersed myself in the natural lifestyle. Most importantly, I opened my mind from the brainwashing of medical training. My explicit goal in treating patients is finding the cause of disease instead of using the band-aid approach. The CAUSE is the CURE. In 2012, I decided to leave the large cardiology group and open Wolfson Integrative Cardiology. Heather and I have two beautiful, healthy boys, Noah and Brody, and our rescue Lab mix, Sal. Our sons were born at home with a midwife. Neither have ever taken a pharmaceutical, prescribed or OTC. We practice attachment parenting, eat organic food, and instill a natural lifestyle into our children. We enjoy all the outdoor activities available in Phoenix. Heather and I together are The Drs. Wolfson and our motto is “Awakening the World to Wellness”. 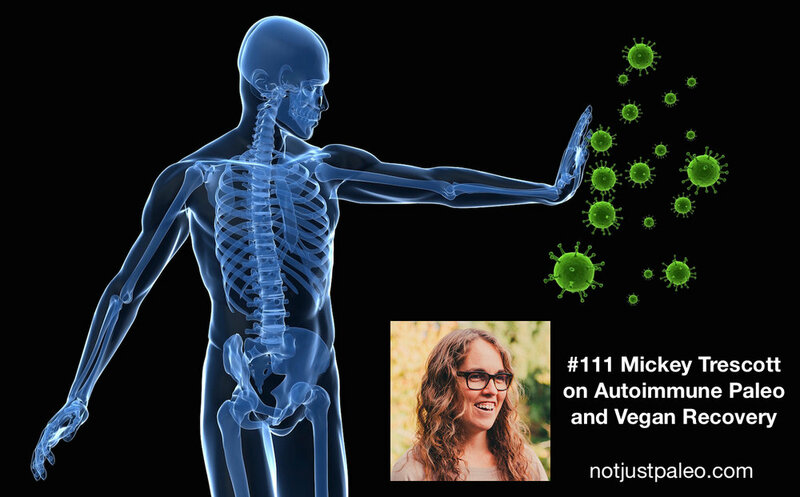 Mickey Trescott, NTP, is an author and writer at Autoimmune-Paleo.com. Her journey started when her time spent eating a vegan diet went from good to bad. She ended up with 2 autoimmune diseases including celiac and hashimoto's. Now she has found an autoimmune Paleo approach that has successfully managed her conditions.